The Down-low on driving in New Zealand. If you're visiting New Zealand & plan to drive, chances are our roads are different to what you're used to, so here's a little "need to know" on NZ roads. We invite you to come and experience the wonder that is New Zealand! New Zealand is a little country with lots of coastal, rural and winding roads. Paired with our infamous “4 seasons in one day” the weather conditions are often a factor to consider too when navigating our roads, among many other things. One of the main issues it seems is travellers underestimating distances and travel times in New Zealand. Another is distracted driving as you try to figure out where you’re going, or some kind of spectacular scenery takes your eyes away from the road. The aim is for you to have an amazing experience in New Zealand, but also to make it home safely to tell the tales of your wonderful trip. So slow it down, take regular breaks. Be prepared with maps and a general idea of your direction, and pull over if you need to get your bearings - slowing down or stopping on the road to have a ‘quick look’ at the map can cause issues for yourself, and other drivers. So, what makes New Zealand’s roads different? Tips & Tricks to self-drive travel. If you're fatigued (or jetlagged you're much more likely to have a crash. So downing coffee or having your head out the window in hopes that the cold wind will wake you up, are not good options. Stop, Rest, Recharge and Arrive Alive. Excessive speed is one of the biggest killers on our roads. 100km is the maximum, with some rural roads having a “safe speed” of 90km. We shouldn’t have to explain this one. But. Drugs impair your reaction times and cloud your judgement, so no. New Zealand has a low tolerance for drinking and driving, the alcohol limit for drivers aged 20 years and over is 250mcg of alcohol per litre of breath. And the blood alcohol limit is to 50mg (0.05). 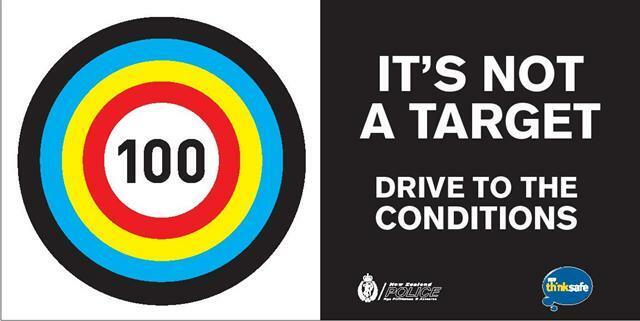 For drivers under 20, the limit is zero. Keep these limits in mind if you’ve been out on a bender the night before too, make sure you’re sobered up and alert before grabbing your keys the next morning. Remember that comment “4 seasons in one Day” - This is pretty standard in New Zealand due to our landscape. The weather can vary considerably, even within a single day. During the winter months and early spring, watch out for ice and snow and other weather-related hazards. Are you actually allowed to drive in New Zealand? None of the above really applys if you don't have a current and valid overseas driver licence or international driving permit, a requirement to drive in NZ. And if you're here for more than 12 months, you will need to get yourself a New Zealand drivers licence. Some Statistic, just to make things clear. From 2010-2014, 3.8 percent of all drivers involved in crashes were overseas licence holders. About 78 percent of those being tourists, with the majority of crashes being on the open road. Not all overseas drivers involved in crashes are at fault, and only a small amount of those at-fault crashed because they failed to adapt to New Zealand driving conditions (for instance, driving on the wrong side of the road or not understanding give way rules). Most overseas driver’s crash for the same reasons as New Zealanders, only around 1/3 of (at-fault) foreign drivers failed to adjust to New Zealand rules or conditions. But this rises to about 1/2 for fatal crashes. ‘Failing to adjust’ includes such things as driving on the wrong side of the road and not understanding give way rules. If you want a run down on our road-rules, have a read of this. Some other options for getting around New Zealand are driving a motorhome or a motorcycle, and if you’re not too keen on self-drive; travelling by bus, train, ferry and plane. If you want a little more information on these modes of transport, click here.